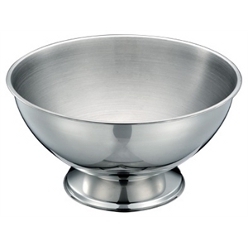 This champagne bowl also has ample space for facilitating the chilling of wine, drinks, and champagne. 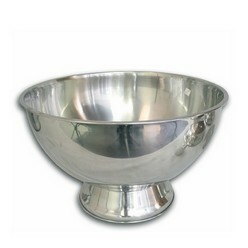 Its wall is fashioned out of reinforced stainless steel, which adds to its durability and makes it very effective in the preserving of the temperature of all the cold items for a more extended period. 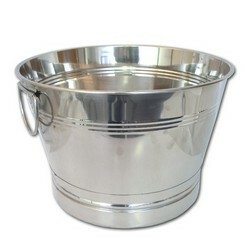 It is without any handle, has a base, is white colour and has a capacity of 15 litres.